If you don’t like baseball I feel sorry for you. Baseball is a game of patience and nothing is more rewarding than advancing in the postseason after 162 games of hard play. Nothing gets my heart racing and excitement up like baseball, especially October baseball. But there is nothing more painstakingly heartbreaking than watching my team waste opportunities, blow a lead, lose a game or at the very worst, lose the series. Every. Single. Play. Sure, every play matters in regular season too, but there’s also so many more opportunities to make up an error or blow a lead. If a player makes a game losing error, he has 161 games to balance it out. If a team is at the top of it’s division in June, there’s still three months to fall behind. Not in October. There are just five or seven games, tops. One missed double play, one man left on base, one misplaced pitch, one perfectly placed line drive, one sac fly, or one home run can make or break the series. The air is electric; the players, the stands and everyone at home can feel it. Regular season W’s and stats don’t mean anything here. The slate is wiped clean, tensions are high and the stakes are even higher. 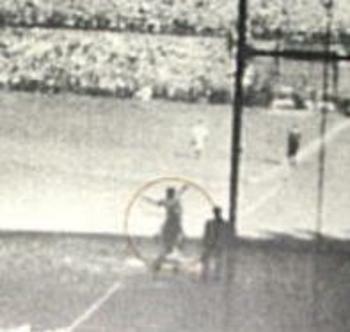 You never know what’s going to happen; players steal home, pitchers throw no-hitters, perfect games and bats. The uncertainty of it all is enough to drive you mad and keep you glued the game. It’s fantastically beautiful torture. 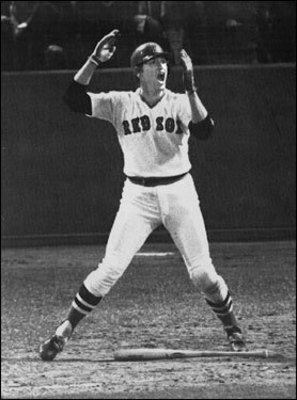 Carlton Fisk waving the ball fair. 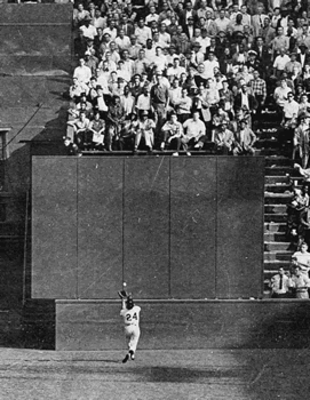 These are just some of the most iconic moments and images in baseball. All in October. None forgotten. This entry was posted in Funny Stuff, Uncategorized and tagged 2004 American League Championship Series, ALCS, ALDS, Babe Ruth, baseball, Boston Red Sox, Carlton Fisk, Curt Schilling, Giants, gifs, Jackie Robinson, New York Yankees, October, perfect games, postseason, Red Sox, San Fransisco Giants, Willie Mays, World Series, Yankees. Bookmark the permalink.